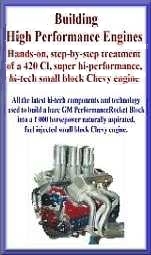 Hands-on, step-by-step treatment of a 420 Cl, super hi-performance, hi-tech small block Chevy engine. 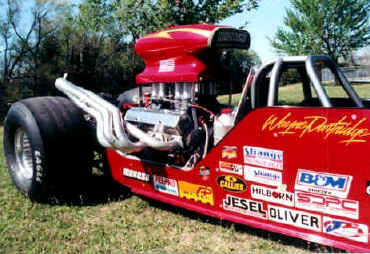 All the latest hi-tech components and technology used to build a bare GM Performance Rocket Block into a 1 000 horsepower naturally aspirated, fuel injected small block Chevy engine. Block preparation, bearings, 4340 stroker cranks, rods, custom built pistons, rings and ring grinding, 786 lift roller cam and off-set roller lifters, cam degreeing, 13 degree raised runner aluminum cylinder heads flowing over 400 cfm, titanium valves, springs and retainers, spring heights, rocker shafts and ratios, gear and belt cam drives, oil pans, dry sump oil systems, digital ignition, fuel injection, carbon fiber intake manifolds, Demon carburetors, headers, spark plugs, filters, oil, gaskets, starters, waterpumps, flywheels, gauges, and all accessories. Segments covering crank case pressure and windage, bolt tightening methods including torque- stretch gauge- and torque angle. Everything you need to build you own hi-performance engine. 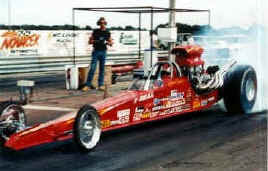 Then, installed into a rear engine Dragster for first burn out and run. 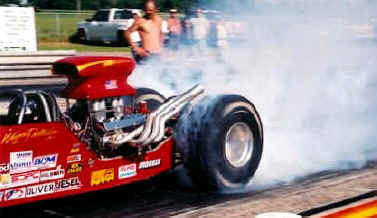 The small block runs 6 second times. The best video on engine assembly ever produced!